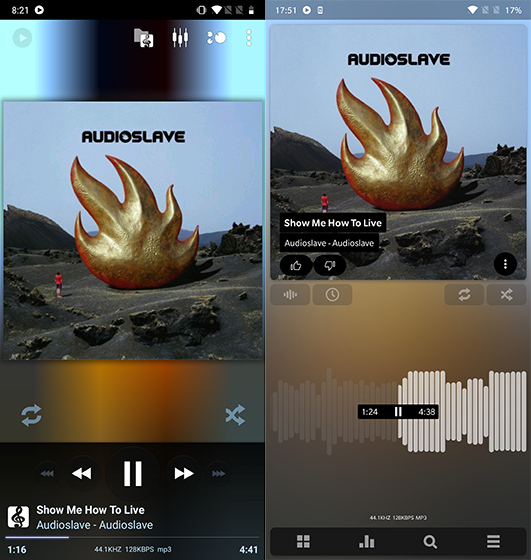 Poweramp is one of the most well-equipped third-party music players on Android. But over the years, it has declined in popularity due to the stale look, which has remained almost unchanged for more than five years. However, this day brings joy to die-hard fans as after years of anticipation, Poweramp has finally got a major facelift. 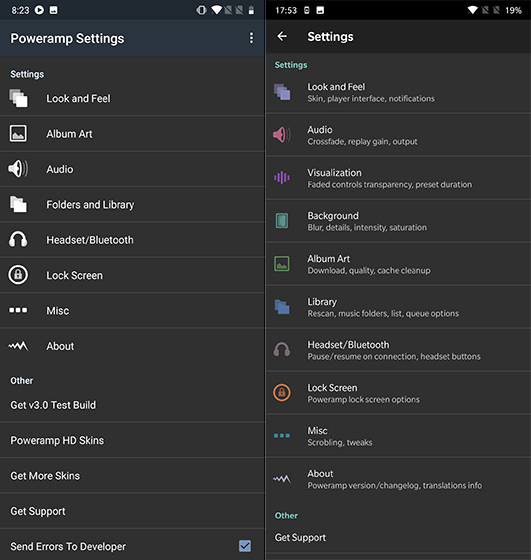 The new interface is rigged with updates icons, a colorful interface, dialog boxes and thumbnails with rounded corners, and many more slender visual accentuations that make Poweramp appear ready for Android Pie. The developer Max MP has also added useful gestures to make navigation easier. 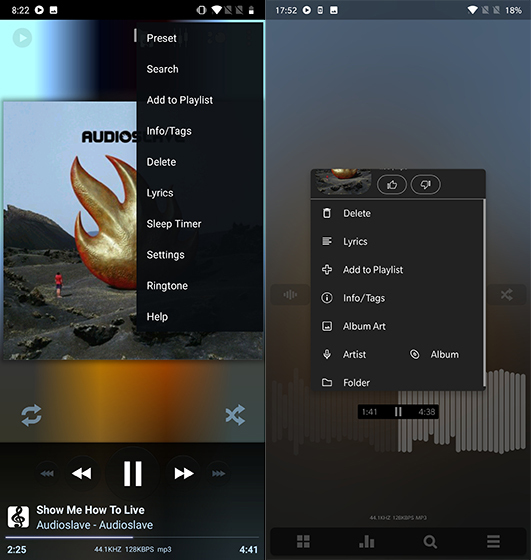 Starting with the interface of the player UI, the album art now blends more seamlessly with the overall appearance while the linear seekbar has been replaced by a static wave design. However, unlike the wave design seekbar in the Soundcloud app, you drag your finger across the wave instead of dragging the wave itself. Now, there’s a pop-up window instead of a drop-down menu to display track-related settings. Secondly, the same icon refresh follows in the Settings menu, which now has additional options. The two new options are concerned with the background blur in the player UI as well as visualizations. Different sub-menus in Settings have been reorganized too, to make navigation through settings easier. The equalizer menu has been changed with rounder buttons but there’s no change in functionality. 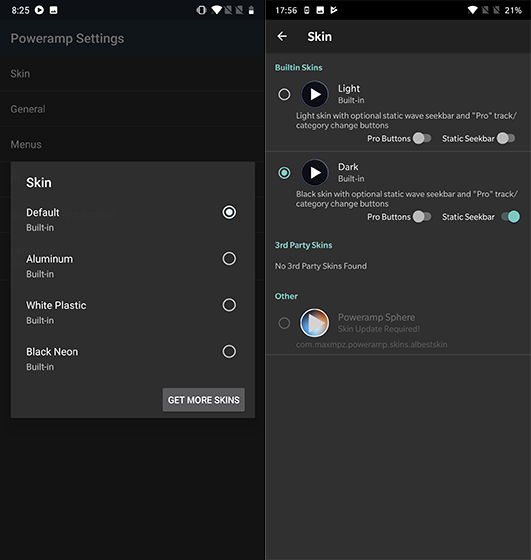 While the new Poweramp app also supports themes, we could not find any theme that is currently supported by the new version. Overall, the redesigned Poweramp makes a lot of sense for its devoted fans who have not left the player’s side – considering its 50 million-plus downloads and a rating of 4.5. 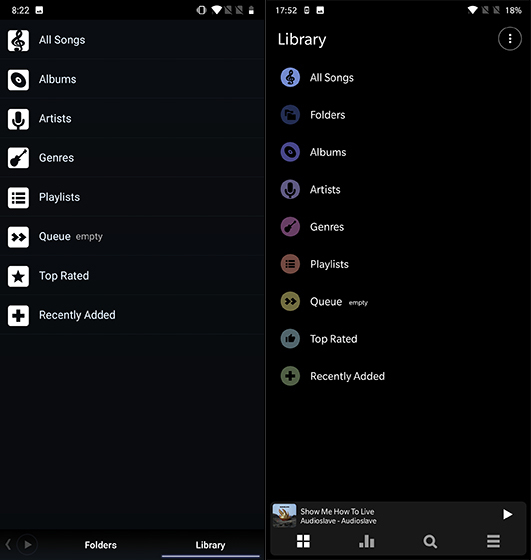 As of now, the new interface is only available in the beta version of Poweramp and to be able to use the app, you can sign up as a beta tester by scrolling down on the download page on Google Play Store, or by downloading the latest APK from this link.